The challenge: fit everything you really want from a bass synth into a 4″ x 4″ square. Make every parameter hands-on, with full-sized knobs and switches. Give it an analog filter that can be angry, not just nice. anode is our biggest release since the original MeeBlip three years ago. It’s been a constant reminder of why I want to be making hardware as well as writing about it. We can’t wait to get it in your hands. Hell, yes, digital. 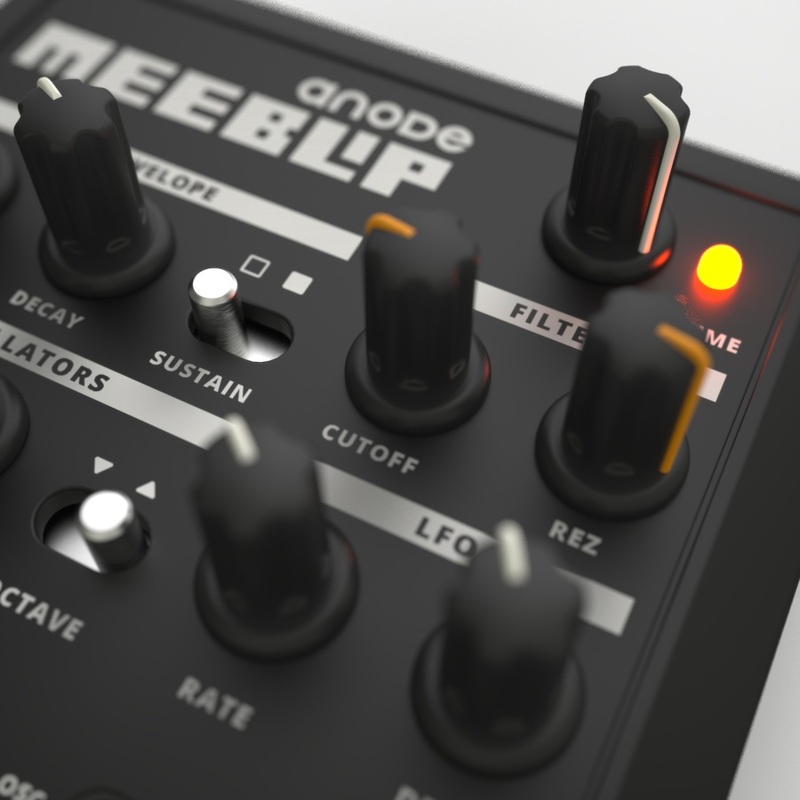 MeeBlip has always been about straight-to-the-metal digital coding. The variable-pulse-wave oscillators on anode alias at the low end for extra grunge, with anti-aliasing higher for more versatility on melodies. 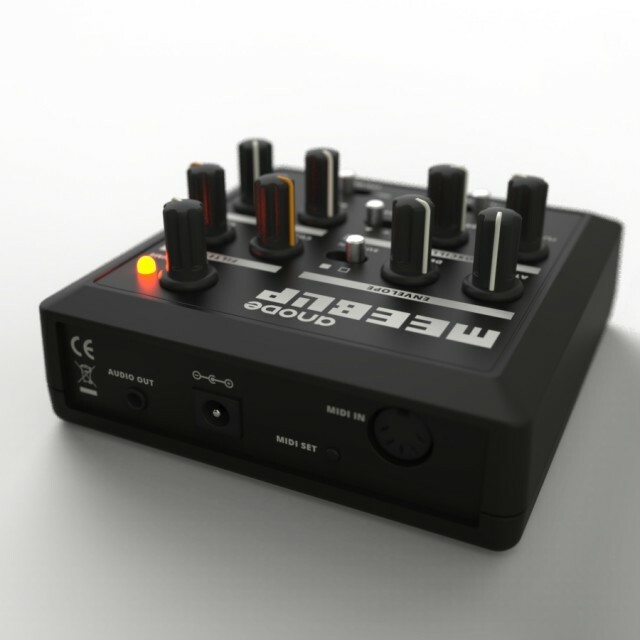 So, we still have digital oscillators – newly tuned for sound that’s like MeeBlip, but better. Hell, yes, analog. 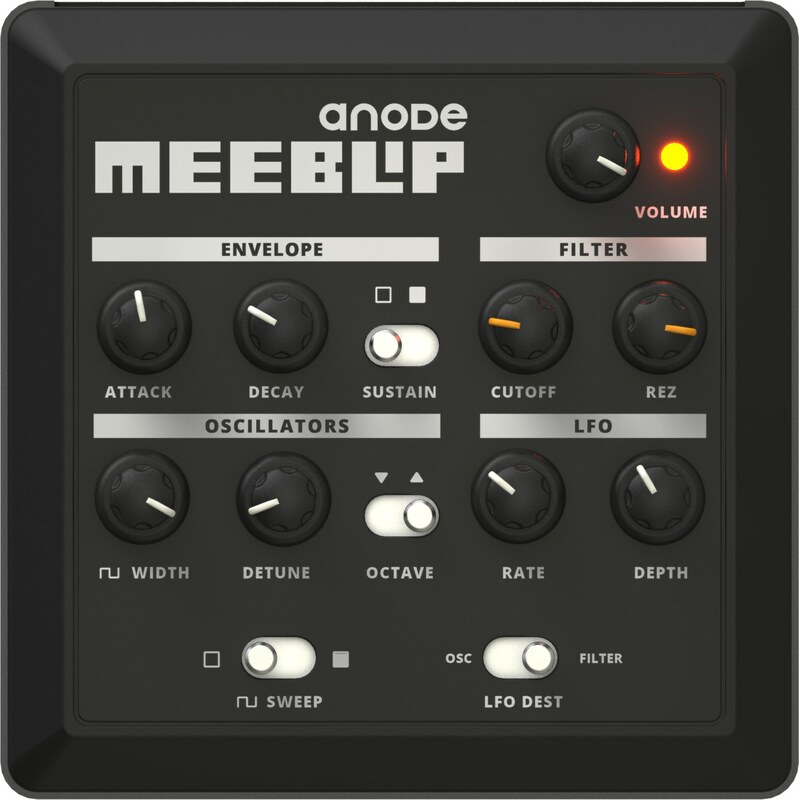 For anode, James Grahame devised a new analog filter. It’s a departure from most of the KORG MS-style or transistor/diode filters currently popular on the market. It still behaves like a classic low-pass in use, but it sounds aggressive, especially as you add resonance. We wanted to make sure there was no part of the filter range that felt boring or conservative; that’s not what this instrument is about. Simple, playable. Each knob, each switch, each range has been carefully considered (sometimes, hotly debated) to result in anode. You get hands-on control, plus a MIDI message corresponding to each parameter for automation (with the exception of analog filter resonance). Hackable. anode is designed with the assumption that many players won’t change a thing. But if you do, we’ve made it easier to modify both firmware and software. Component swaps can transform that sound of the filter; you can add features you want like audio in or CV in if you really want. We’re also busily finishing the next-generation MeeBlip micro board, a pre-assembled board that you can easily build into your own projects, so we aren’t ignoring DIYers. 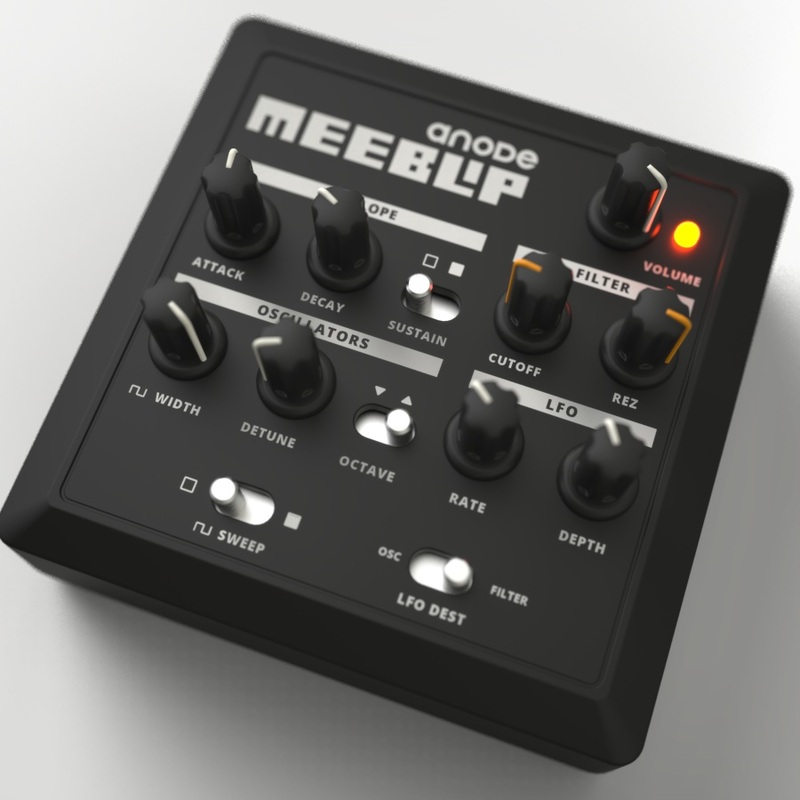 MeeBlips are now all assembled projects, but if you want to solder and construct and write code, you can build on what they give you. Arvid Jense, industrial designer and musician.